Alabama author Patti Callahan Henry is back with a summer read about secrets, friendship and the possibility of summertime. Chat with Patti Callahan Henry on Twitter Friday, July 7, from 1-2 CST (2-3 EST) using the hashtag #southernlit. Scroll down to enter to win a copy of the book! 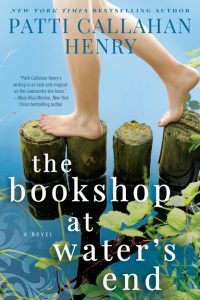 In The Bookshop at Water’s End (available July 11), Patti Callahan Henry writes from the perspective of four women each trying to find their way in life. Bonny Blankenship is desperate to clear her head after a tragic mistake at work threatens her career and her marriage. Her best friend Lainey McKay has searched for her missing mother for years, while raising two young children of her own. Bonny’s daughter, Piper, is getting over a breakup, along with an arrest and failed first year of college. Finally, Mimi is the town bookshop owner who serves as a sounding board for broken hearts. Henry brings all these characters together at Bonny’s river house Sea La Vie in Watersend, South Carolina. Piper calls it an exile, but Bonny imagines a summer like those of her childhood, spent with her “Summer Sister” Lainey soaking up the sun and sharing secrets. Watersend is also where Lainey’s mother disappeared so many years ago, so the idyllic seaside spot holds bad memories mixed with the good. While The Bookshop at Water’s End could be called an easy summer read, Henry packs it full with life lessons, a bit of romance and characters—especially young Piper—you’ll find yourself rooting for until the end. 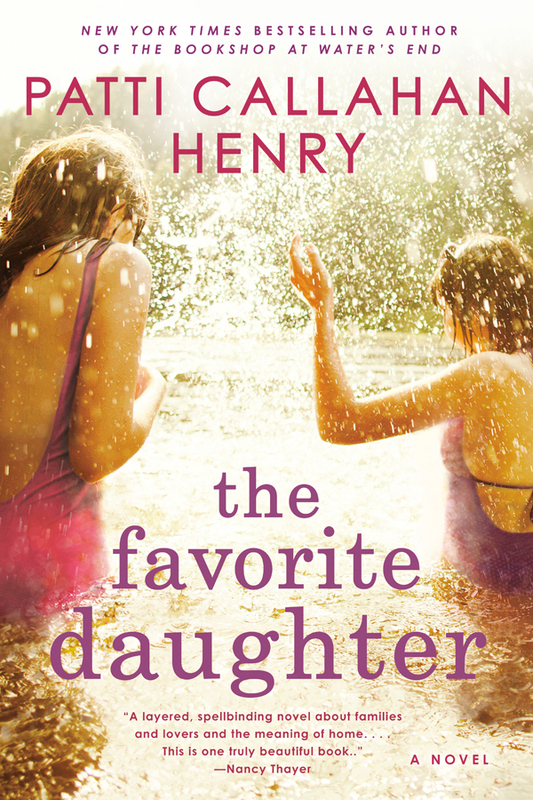 In advance of our Twitter chat on Friday, July 7, we asked Henry about the allure of summertime, her own childhood cabin that inspired the river house and the power of a community bookseller. EZB: In this book, summertime is all about swimming, lounging on the dock, reading and visiting with old friends. What does summertime mean to you? PCH: Summertime—just the word evokes a certain kind of timelessness, a freedom that doesn’t exist during the scheduled days of school. For me, it has always meant more time to read. Of course for me this year, summertime means book tour and all the wonderful connections that are made during that time. EZB: You say in your “story behind the story” that Sea La Vie is based on your childhood summer cabin. What did you pull from your childhood summers for inspiration? PCH: From my childhood, I pulled that sense of “all things are possible.” In the summers, I read to my heart’s content, I dreamed of a wider world and imagined all that might happen to me one day. Of course we can never know what our future holds, but during those childhood summers in that cabin, everything and all things seemed possible. EZB: Sea La Vie is essentially a river house, but the ocean is just across the street. Why did you choose a setting that lies between beach and river? PCH: There was a certain metaphorical nuance to the idea of a house sitting between river and sea, a house that held ancestral memories as well as current situations. I loved the idea of it being surrounded by change and tides while it stood fast. EZB: Is Mimi’s bookshop and her ability to give customers the book they need rather than want based on something in real life? PCH: Mimi’s bookshop is based on an amalgam of all my favorite bookshops. It is a place I would love to have right around the corner, and it is an imagining of the “ideal” bookseller and bookshop. Who wouldn’t want Mimi right there telling us the exact right book to read while we cuddled in a corner chair with a friend or book club? EZB: Did you experience any unique challenges or setbacks in writing this book? PCH: I wrote this book in four women’s voices (aged 19-80-something) and this presented a set of challenges that both made me work harder and love it more. I wanted the reader (and myself) to experience the story from all angles and all ages. I’m really excited about the audio version, as it will have four different actresses reading the four different parts.